With a bit of creative thinking, it’s possible to tap companies for anything and everything, from complimentary concert tickets to cash for a holiday. To scrounge something; to get it for nothing. As an example, one MoneySaving blagger asked a paragliding firm to cough up for equipment' as a group of adventure sporters were taking a paragliding trip through India; so they wrote in said they were on a paragliding expedition and were given free equipment. After all an expedition is a "an excursion, journey, or voyage made for some specific purpose;" there was no lie; and no argument it was for science or charity... the company were happy to pass the equipment across. How far should a blag go? Conning people and misleading info isn't part of blaggin; but persuading is fine. If you say you're going to run a party with lots of people and ask a drinks company for free booze as you think its the right clientelle to introduce to their drinks; this is a good blag; and there are no lies. Please click reply to add your best legal blags. Last edited by MSE Archna; 25-10-2007 at 9:52 AM. Prolly loads of T-shirts, coasters, umbrellas and loads of other promo things from alcohol companies that they sent me for throwing a party. Got a box of Kettle Chips a few years back for saying I liked their products as well. NB. Some posts in this thread have been deleted. The original description of blagging was by a member of my team (they pre-write some of the smaller notes for me, then I come through and rewrite and tweak - it enables us to get the email out on time); who'd put the wrong example (a slightly dodgy and inappropriate one). As that confused the discussion I've deleted all to restart. Last edited by MSE Martin; 16-10-2007 at 10:06 PM. Last edited by Former MSE Wendy; 23-10-2007 at 6:10 PM. If you find a product that you like, then write a letter of praise to the manufacturer. It's suprising what response you'll get. Most people write to complain, but for the cost of a postage stamp and a few minutes of your time writing a letter, free goods or vouchers are often received. Last edited by Former MSE Lawrence; 19-10-2007 at 11:33 AM. When you arrive at any hotel start by politely asking if a free room upgrade is available. Occasionally they'll shrug their shoulders and say no but more often than not they'll do something for you. Worked successfully for us on several occasions often getting a sea view for free and occasionally a suite or penthouse. Usually works better if you ask before they've started checking you in on the computer as the only person who can reverse stuff on computers will be on a coffee break for 2 hours. Last edited by Former MSE Wendy; 23-10-2007 at 6:11 PM. This maybe great, but please don't ever ring up to compliment on a supermarkets own brand product. As the supermarkets charge their supplier as if it's a complaint, as the companies that gather the complaint stats can't distinguish between a complaint and a compliment! Which is scandalous so it's better not to do anything even if you do love the product. Great post, I don't know whether I'm brave enough, although I did email Warbutons and ask for some vouchers before my son's birthday, they sent me five vouchers for 50p off a toastie loaf. The best bread IMHO but not very money saving at over £1 a loaf. 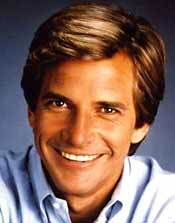 Bit confused though, why is Face (Dirk Benedict) a blagger? I'm trying to remember the A-Team but can't quite put my finger on it. Eight words ye Wiccan Rede fulfill - An’ it harm none, Do what ye will. Face man was the biggest blagger on tv, what ever the A-team needed face blagged it. cool thanks, I thought it must have been something like that. I used to watch on Saturday mornings, must catch up and relive my lost youth. Thanks Freebee. Never ask for anything too huge (although it never hurts...) if you're just after a feebie for the sake of it. I just came back from a 1000-mile charity walk and managed to get freebies from a couple of companies who - by policy - don't help charities other than those they select at the start of the year. Be polite, don't expect anything and ask for something specific. The Elestoplast people gave me a nice package with suncream, lip salve, plasters (I needed them!) and so on. DFDS knocked 20% off my ferry fare for the one part I couldn't walk. Dymocks (Australia's answer to Waterstones) gave me a free European road atlas. Kudos in Cardiff gave me a brand new rucksack at cost price, and some other equipment in for free. Also, be persistent. DFDS ignored my first email and letter so I rang them up! P.S. If you liked this post, please consider going to www.bdcf.org and dropping them a quid. They're the nice people I was raising money for on my walk! My sister-in-law and her fiancee went to a wedding show a few months ago. They signed up with all the catering and restaurant firms at the show and they've eaten out at "free tasting" for several months courtesy of this trip. Their £15 ticket saved them many £100's in meals out - my wife and I will try this next year !! They sent me a free pen and 10 refills for it and a load of info for us and to pass onto his school. So has anyone got any tips as to what I could blag for my wedding? Anything in the way of drinks, food or table decorations? 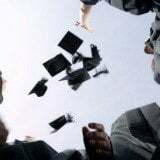 Has anyone got any good ideas for getting sponsorship for schools? Don't want to rip anyone off, but it would be good to establish mutually beneficial relationships with companies (national and local) near to the school where I'm a governor. Funding sources would also be much appreciated! ive ben sending letters and emails to companies for years and have always had something back whether it be vouchers or samples. Just blgged a 2GB (yes Gigabyte) datastick from a company. It came with Lotus Notes on it as it's supposed to be used instead of laptops where possible. I asked for a testing sample as we may be looking to purchase quite a few and they sent me one. Never got past our buyer but i didn't tell them that. Oh my goodness- that is one of the sneakiest things I have ever heard !!! I hope people don't go trying this one out! This involves a little expense to begin with - you need to buy one of those marker pens whose writing can only be read under infra-red light. You then spend every Saturday touring Dixons, Comet etc. and write your postcode and house number on all the electrical appliances, stereos, TVs, fridges etc. that you can manage. After a year or so, you should begin to receive weekly calls from the police asking you to come and collect 'your' property from the latest batch of swag they have recovered. All you need then is an eBay account and there you go! Riches beyond the dreams of avarice! My brother walked Hadrians Wall last month for charity and rather than paying full whack for his new hiking boots, he contacted Scarpa direct, explained what it was for and blagged them for cost price, PLUS got a free pair of walking poles worth £50!